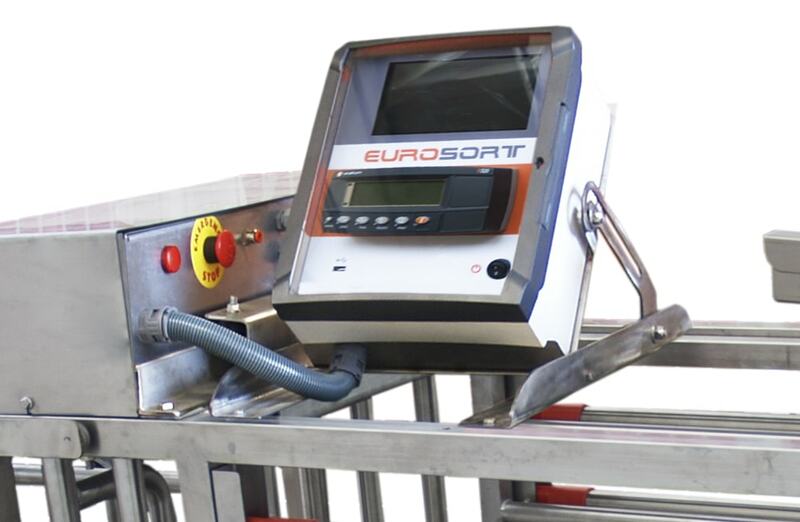 EUROSORT PIG can work independently with its own computer or communicate with any farm management software. 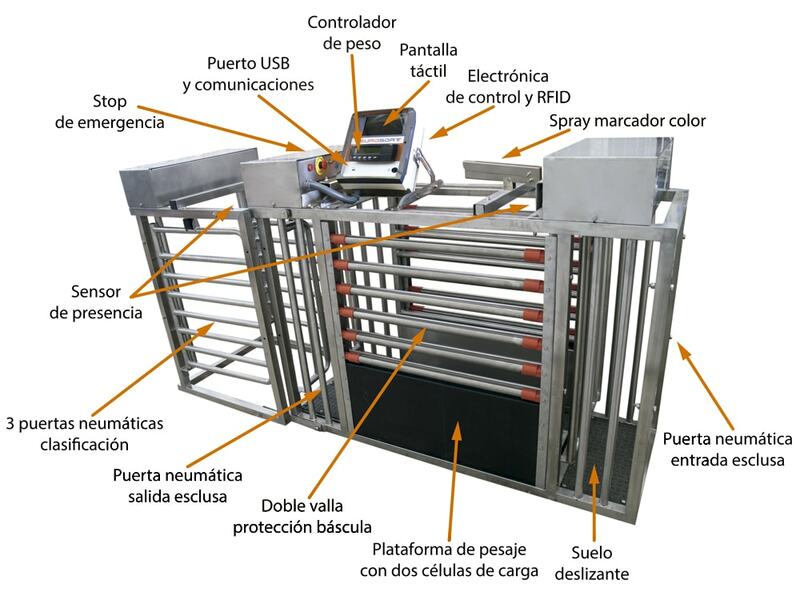 Version for fattening pigs. 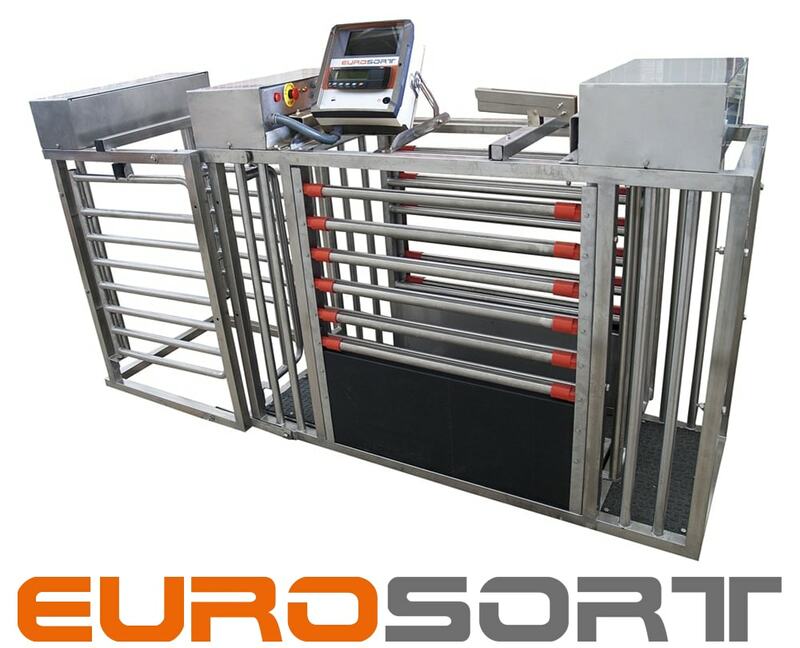 Allows to select the animals that reached slaughter weight, avoiding the stress during the loading of animals to the truck.Thus, avoiding penalties of slaughterhouse and managing the fattening process in common areas of feeding and rest. There is also the sheep version.